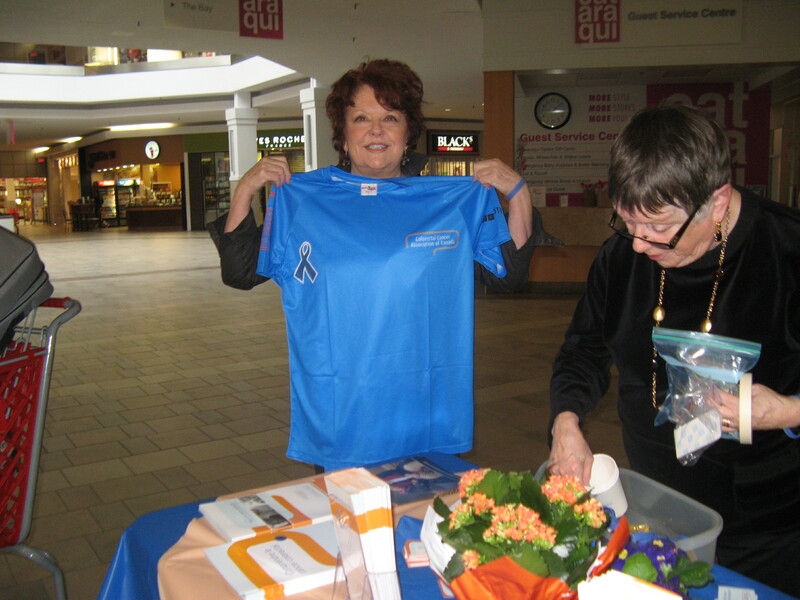 On the weekend of February 3rd to 5th, our local support group, Colon Cancer Kingston, manned a display of CCAC pamphlets, books and posters at Cataraqui Town Centre in west Kingston off outer Princess Street. Though attendance was light due to competing events it was steady, with a whole range of questions being asked by curious passers by. 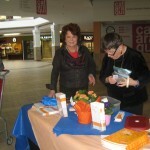 Visitor queries about symptoms, healthy eating, screening and treatment options were engaging. Members were up to answering anything. All in all, time well spent with a fun group of people! We dialogued with locals, ate and laughed a lot. I hope we do it again. A special thanks to those who took the time to listen and share and deliver resources to and from my home: Grace Acheson, Gwen Potts, Lana Coe, Beth & Carol Risto, Judy Nurse, Kevin Archibald, Janice Reinholz & Marcia, Doreen Jeffers, Lorraine Thompson, Betty Ball and Frank & Jeannette Pitman who came all the way from Montreal. 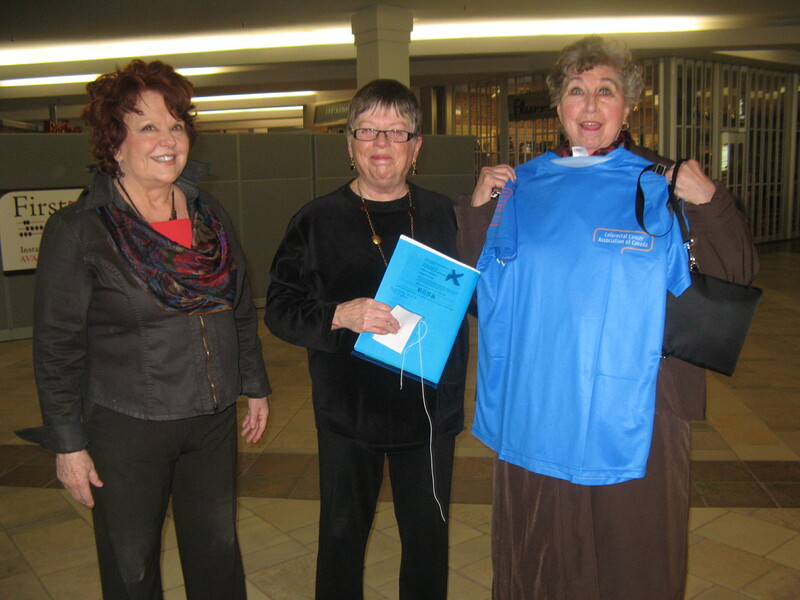 The best part of the weekend was seeing the spirit of friendship that characterizes team Kingston. 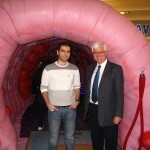 Grace and I have been to other health fairs before but none so colourful as this! Kudos to Carl, Frank and the Kingston crowd. 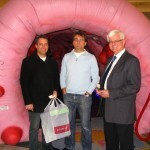 Now on to the OHL Giant Colon Tour! 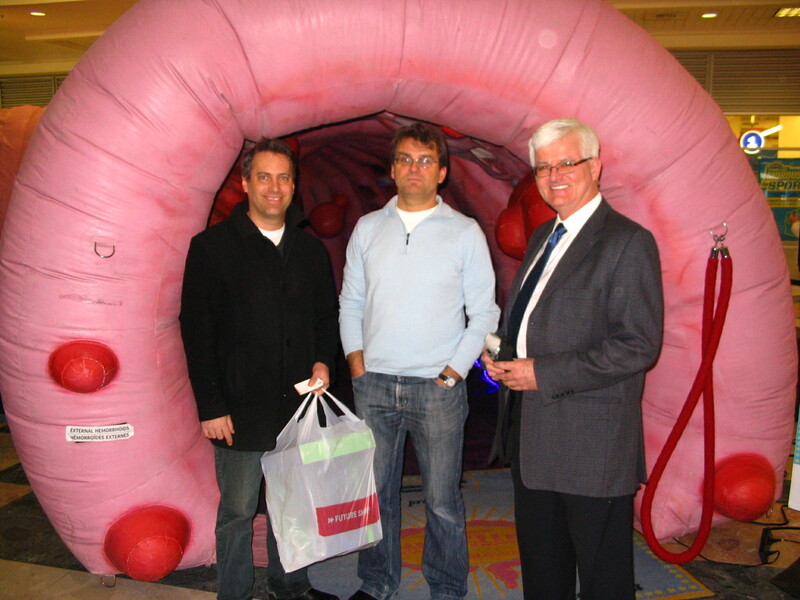 The Giant Colon was the centre of attraction at the SALON ÉQUILIBRE SANTÉ FORME at the Laurier Québec shopping mall, which is the largest shopping mall in eastern Canada. 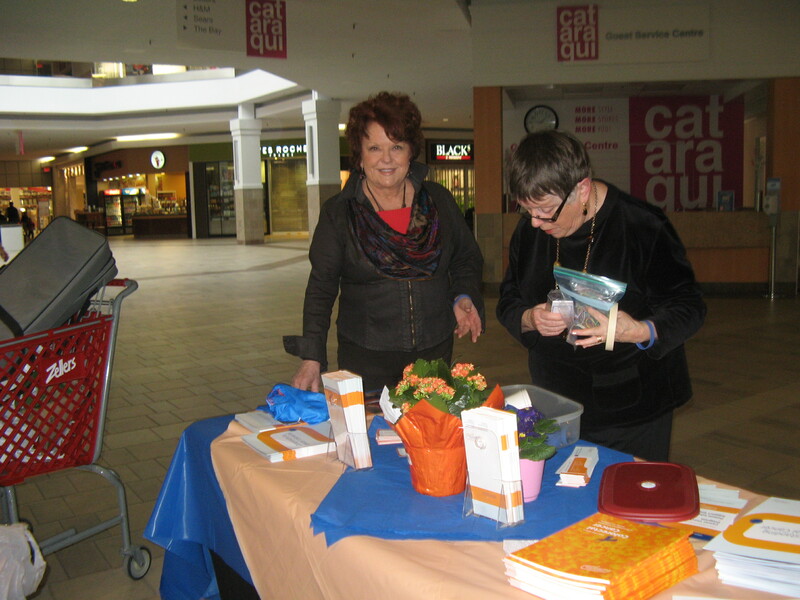 We were joined by 68 other exhibitors. 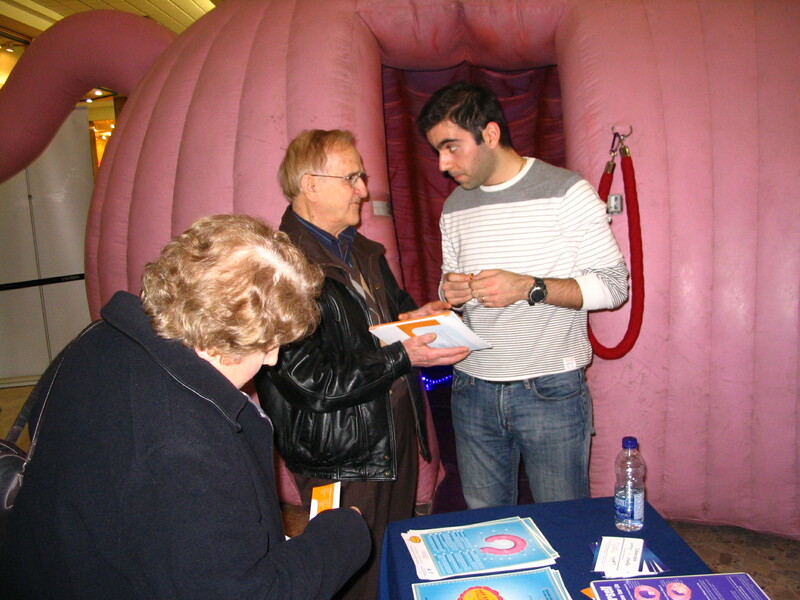 The Clinique de kinésiology de lÙniversité de Laval was located right next to our Giant Colon and offered a myriad of fitness tests. Over 5,000 people passed through our exhibit over the two days. Special thanks to Dr. Dany El-Ghassan from the CHUL and Thomas Levesque who so generously donated their time to help make this event a success. 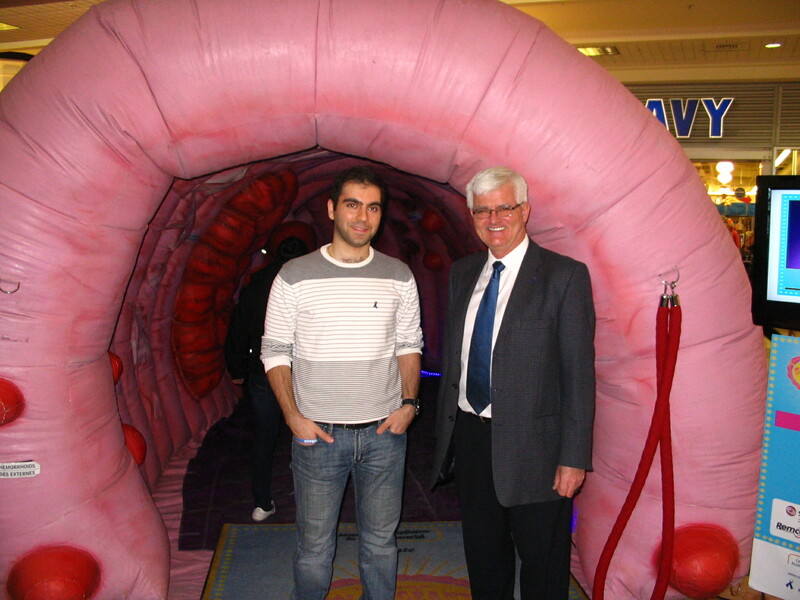 We were also pleased to welcome Dr. Paul Poirier, a renowned Quebec City cardiologist. 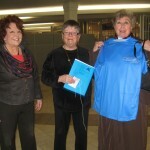 Dr. Poirier was the spokesperson for the event.